A waterproof deck coating can greatly enhance the luster and durability of your patio area and deck. However, the beauty and functionality of your deck coating hinges upon whether the coating is properly applied according to specifications. As you ask yourself whether anyone can install your waterproof deck coating, remember that failure to accurately install your waterproof deck coating can result in safety hazards, poor longevity and an unattractive appearance. Below are five benefits having your waterproof deck coating installed by a trained applicator as opposed to attempting to apply the coating on your own. 3) Trained applicators can complete a project more accurately and efficiently. Time is often of the essence to people who are anxious to have their decks finished by a pre-set deadline. 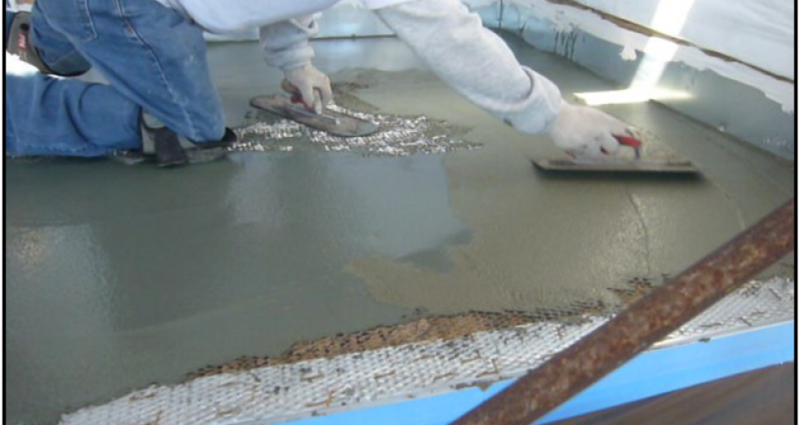 Unlike novices who are new to the waterproofing process, trained applicators have completed multiple waterproofing projects and have perfected the installation process. They know all of the tricks of the trade and can complete your job more quickly. Most important, trained applicators have a strong working knowledge of coating specifications and the processes required to install the coatings in exact accordance to manufacturer specifications. In addition to having access to these tools, qualified applicators have been trained to use them safely and efficiently, increasing the likelihood that you will be pleased with your final product. 5) A warranty is typically included when a trained applicator installs your coating. If you decide to apply your own waterproof deck coating, you will have no warranty to help provide coverage in case application errors lead to problems such as damage to the underlying layers of your deck. When evaluating deck coating providers, you should seek a company that emphasizes the importance of hiring trained, qualified applicators. The warranty that accompanies their services will provide you with the peace of mind that will allow you to relax and enjoy your newly finished deck. Clearly, there are many benefits of hiring a trained applicator to apply your waterproof deck coating. For nearly two decades, the trusted certified applicators with Pli-Dek have worked to expertly apply waterproof deck coatings safely and according to manufacturer specifications. Please contact us to learn how we can help you with your deck waterproofing needs today!